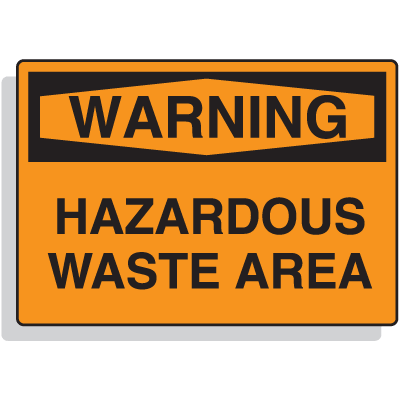 Handling substances, especially hazardous waste, requires information on how to handle and dispose them properly. 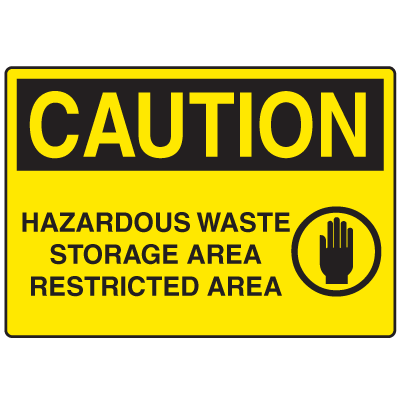 Make sure that these messages are always displayed with Setons’ Hazardous Waste Signs. If it’s important that people understand the risks of handling common household products, how much more when it comes to hazardous waste? 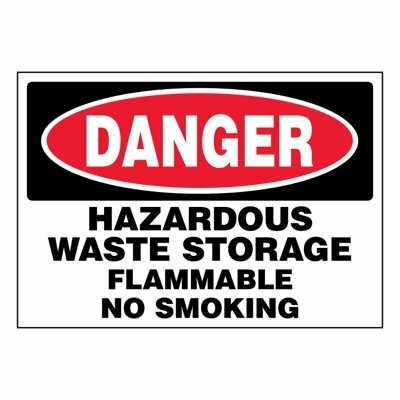 Your employees should always be aware of the potential dangers of coming into contact with hazardous materials. Inform them of how to dispose of these materials in the safest way possible, and of what to do in case of emergencies. Make your selection from Seton’s line of warning signs that would best suit your needs. 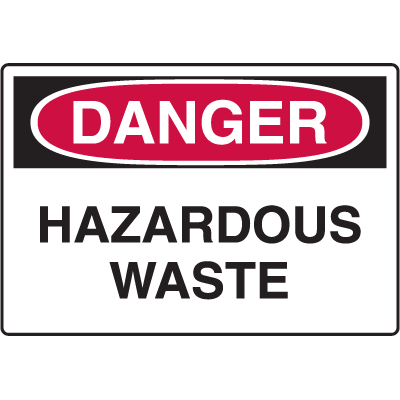 Improper management of hazardous waste is a huge threat to both public health and to the surrounding environment. 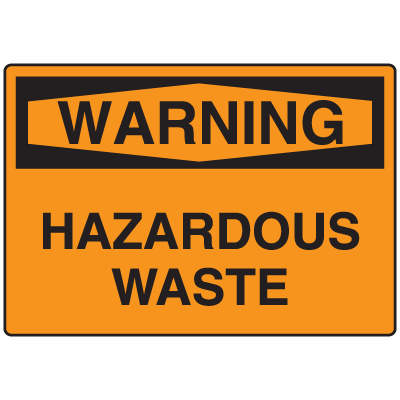 Among the potential risks that can result from hazardous waste are air pollution and soil and ground water contamination. As such, they need to be disposed of as safely and efficiently as possible. 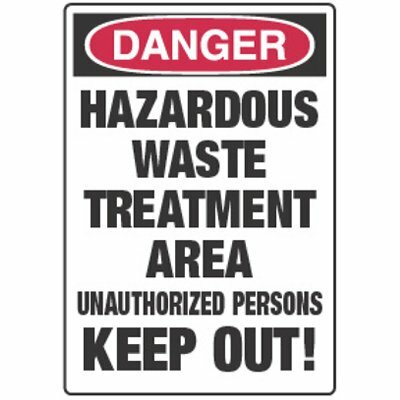 Make sure that your facility always does so with Seton’s Hazardous Waste Signs. 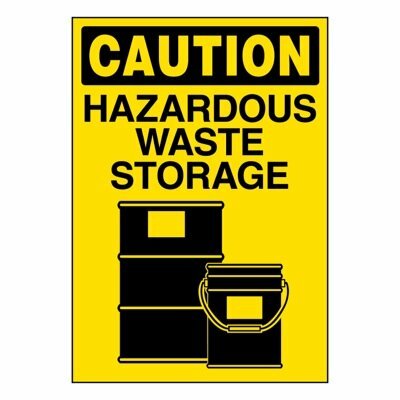 Treatment and disposal procedures are carefully planned to ensure that people and ecosystems are safely unaffected by the presence of hazardous waste. Some of these methods are designed to significantly reduce the impact of waste materials the waste. Others, such as recycling, can recover a certain amount of reusable materials from waste. 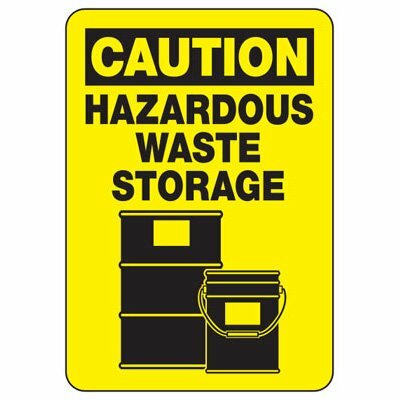 Some procedures simply make the waste safer for storage and transport. 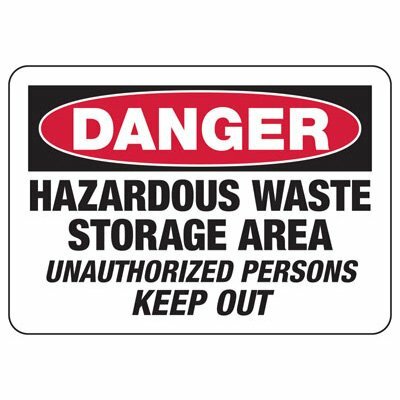 Because of this, compliance with hazardous waste management must always be a top consideration in facilities that produce hazardous waste. Compliance checks by the Environmental Protection Agency (EPA) look for infractions such as open waste containers, waste labels incorrectly completed, and spillage or leakage of waste. Violations can result in corrective actions from the EPA, as well as state and local authorities. These actions could include fines and participation in cleanup efforts. Keep people and the environment safe, while also following federal regulations. 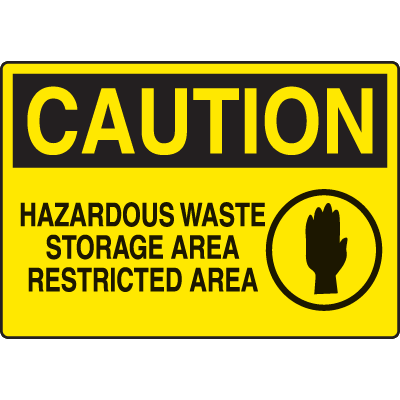 Make sure that hazardous waste is always handled and disposed of properly in your facility. 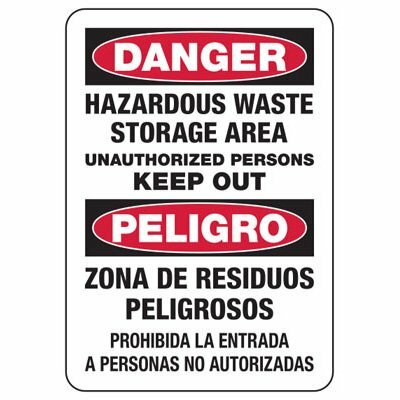 Choose from Seton’s range of safety signs that best meet your requirements.